TRESemmé Company and Products Review: très chic! Home | Hair Care | TRESemmé Company and Products Review 2019: très chic! TRESemmé Company and Products Review 2019: très chic! I have two sisters, and we all have crazy curly hair. Throughout the years we’ve tried basically every product out there for curly hair between the three of us, and have settled on a few that we buy in bulk and swear by. I’ve turned to Dove, Neutrogena, and L’Oréal in the past, but one of the core few we use is TRESemmé Flawless Curls Mousse. It does everything we could ask of a mousse: It smells great, holds curls nicely, prevents frizz–even in intense humidity, and still leaves hair so soft. TRESemmé has become a favorite of mine, and I’m always impressed with what they can deliver at their affordable cost. Keep reading this TRESemmé Company and Products Review to get my in depth review of some of their products, the good and the bad, but spoiler alert: TRESemmé is where it’s at! TRESemmé was founded in 1947 in the United States as a salon hair care brand. The name was inspired by a woman named Edna Emme, a well-known cosmetologist, and spun to sound like très-aimé, meaning well-loved in French. Because the brand was in fact well-loved, the products were brought to the public and marketed as the first salon-brand to be sold in supermarkets and pharmacies. TRESemmé was purchased by Alberto-Culver, a hair and skincare company, in 1968. In 2010, Unilever purchased Alberto, adding its brands including Tresemme, Simple and VO5 to Unilever’s portfolio. TRESemmé makes some amazing hair care that lives up to its “salon-grade” reputation. 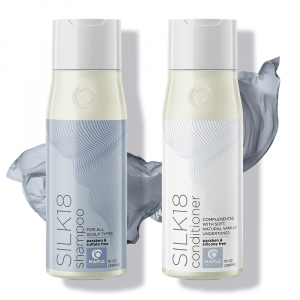 They’ve got softening shampoos, nutrient rich conditioners, and hair styling and conditioning products that come through with their claims whether that be to strengthen, volumize, condition, define, repair, smooth or texturize. A cool feature on their website is the PROfiler quiz which asks you questions about your styling habits, what your hair is like currently, and what you’d like your hair to be more like in the future, and they compute it all to come up with a list of products that will help you achieve your hair goals. It’s a great tool, and that’s how I’d describe TRESemmé haircare in general. They provide genuinely great tools. The TRESemmé Naturals Conditioner has a very creamy consistency and it is wonderfully conditioning. It gives a nice amount of slip to the hair, makes detangling a breeze, and doesn’t make hair feel coated, tacky or weighed down. This product has been discontinued and replaced with the Botanique line which TRESemmé presented as an upgrade to the original Naturals line. It is infused with coconut milk and aloe vera and it’s also very hydrating. The new line has received mixed reviews, with some raving about Botanique and some talking about how much they miss the Naturals, but that’s to be expected as different products work better for different hair types. This is a moisturizing shampoo that maintains softness and a healthy amount of natural oils in the hair. 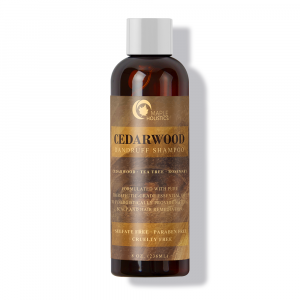 It is infused with coconut and jojoba oils which are great moisturizers and nourish the hair beautifully. It’s a gentle cleanser with lower sulfate levels than most shampoos. It’s silicone-free, hypo-allergenic, and isn’t dyed. The TRESemmé Naturals shampoo has also been discontinued in favor of the newer Botanique shampoo, but the Naturals is still out there for the time being, albeit at a slightly higher price. The first thing I have to say about this dry shampoo is that it does not leave any white cast whatsoever, which makes this one of the only dry shampoo options at the drugstore that won’t make dark hair look ashy. It uses mineral clay to absorb excess oil from second or third day hair, giving it some texture and making it look clean and dry. There’s a Fresh Start Volumizing option that gives some volume to limp hair and also works really well. When hair is damaged, hair cuticles are lifted which makes hair rough, frizzy, and dull. Keratin is a structural protein, and the main material that hair is comprised of. When it is applied to the hair it forms a protective layer around the individual strands, laying the cuticles back down and giving the hair a smoother texture. Keratin treatments have been avoided as consumers become more aware of the dangers of formaldehyde which is included in many Keratin treatments because it helps the Keratin bond to the hair, and without it, the effects of such treatments would fade after a few washes. The TRESemmé Keratin system is completely formaldehyde-free, which works for them because they are meant to be used on a regular basis anyhow. 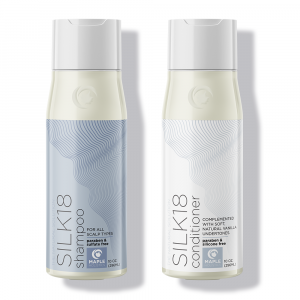 The conditioner is makes hair feel super soft and look very silky, and it can hydrate and help heal dry or damaged hair. One caveat with this conditioner, and Keratin treatments in general, is that it loosens curls and should probably be avoided if you’re going for a really bouncy, curly look. As someone with naturally dry hair, I notice heat damage so clearly and almost immediately. There were periods of time when I was straightening my hair almost every day with a flat iron, and even with my straightener made specifically for minimal damage, my hair started feeling like dry straw. I had to start curling my ends inward just so they wouldn’t splay in every direction, but even then it wasn’t pretty. Now I’m vigilant about using powerful heat protectors if I ever use direct heat on my hair, and I like this one because it reduces friction (friction causes hair to be yanked, often unnoticeable, contributing to damage caused by flat irons), it’s very softening, it’s full of vitamins that naturally improve the strength and appearance of hair like biotin, Vitamin B3, and Vitamin E.
More so, according to the reputable scientific findings of a middle school girls’ science fair project comparing heat-straightened hair with and without the use of the Thermal Creations spray under a microscope, the products really works. As explained in the previous review, the Thermal Creations products contain really great ingredients and seem to actually protect against the damaging effects of high heat on hair. The volumizing mousse gives the added benefit of volume, but not too much volume that’ll have you looking crazy, and it controls frizz really well. I’m a big fan of the TRESemmé mousses because they make hair look silky and give styles or curls some hold but they never harden the hair or make it feel heavy with product overload. This leave in conditioner is mind-bogglingly good. Nothing can permanently fuse split ends back together, but the Split Remedy moisturizes hair incredibly, making it look softer and shinier than ever, and it somehow binds split ends together while it’s in your hair. It can also prevent further damage and end splitting and I personally saw some pretty crazy results. Obviously once damage is done it’s almost impossible to reverse, but I noticed that my hair appeared healthier immediately and that it was looking a lot less damaged over time. Of all of the conditioners I’ve used, including ones from Lush, Garnier, and Pantene, this is the most effective! I really particularly like this product. Right from the get-go, it was nice and frothy. It doesn’t feel like a cheap watery shampoo. 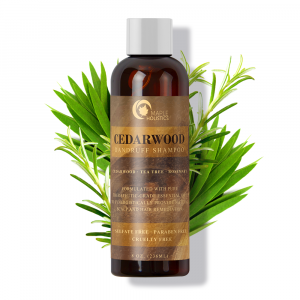 This shampoo also contains tea tree extract which has a slew of benefits for your hair, and more importantly your scalp. My scalp does get dry and flaky especially in the winter. After I got out of the shower, I instantly realized how soft and not irritated my scalp felt. Is TRESemmé Cruelty Free? Does TRESemmé Test On Animals? TRESemmé is part of Unilever which is not a cruelty-free brand. They don’t test their finished products on animals, but they commission other companies and researchers to test ingredients on animals on their behalf, allowing them to label the products as not having been tested on animals. Unilever has made efforts to improve their animal practices in recent years, such as with their Unilever Sustainable Living Plan which involves the company working in unison with animal welfare organizations to only purchase ingredients from suppliers with suitable animal welfare standards as defined by these organizations, but they still have a lot of room for growth in this area. 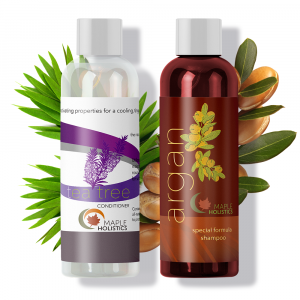 For more on great brands, check out our Aveeno, Herbal Essences, Burt’s Bees, Axe, Suave, That’s It, Make Up For Ever, and Jose Eber reviews here at Maple Holistics! We all want professional quality hair care, but the average person doesn’t want to drop 40$ on a bottle of shampoo, and nor should they. TRESemmé keeps their prices really fair, and they seems to be the real deal. The brand is used backstage at New York fashion week, it’s used by professionals at salons, and it’s trusted by so many individual consumers because they put out good quality stuff with formulas that make a real difference in hair’s health and ease of styling.